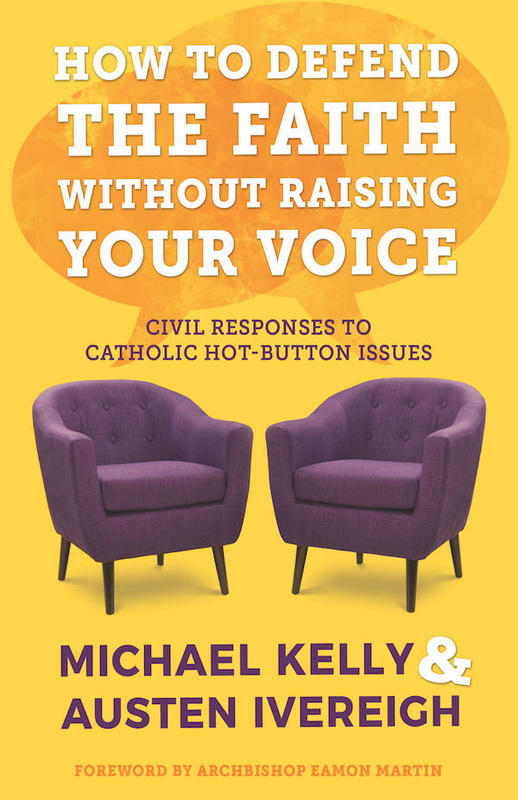 Catholic Voices is a team of ordinary Catholics who love their faith and want to “be able to give an account of the hope that is within them” to their family members, friends and professional associates. Peter Nation has degrees in Philosophy and Religious Education. Recently retired after twenty-eight years as a high school teacher, he enjoys running muddy, military-style obstacle courses and half marathons. He is blessed with a wife and a daughter. Scott helps to maintain websites for several charitable and non-profit organizations. He has worked with numerous businesses, schools and associations to develop their online identities and to help get their message out. He has a degree in philosophy and a diploma of technology, and particularly loves the question “Why?” He is happily married with two children. Trisha holds a degree in Human Services (Counselling) from the University of Alaska and has completed Courses at BCIT in Entertainment and Media Broadcasting. Currently she is pursuing her MA in Marriage and Family Therapy at ACTS Seminaries and is the host for Joytv’s GO! Community Calendar. She hopes to combine her passions in Counselling and Broadcast to help make this world a better place. I.K. was born and raised in both Nigeria and Canada. She works as international advocacy & legal officer for a Christian charity based in Canada and in Africa. She has a BA and MA in political science as well as a degree in Law. Cyrus G. Ma was born and raised in Hong Kong and relocated to Vancouver in 1992. He earned a double diploma in Computer Information Systems and Business Management before graduating from BCIT. Cyrus’ native tongue is English and he is also fluent in Cantonese and Mandarin. Jean-luc studied philosophy and political science at Simon Fraser University. While at SFU, he was the Catholic Christian Outreach club president and was also actively involved with SFU’s Pro-life club. In his spare time he likes reading, gaming, martial arts, being with his girlfriend, and volunteering with Catholic Voices. He is in the process of moving to Saskatchewan and plans​ to pursue counselling ​once he has settled in. Colleen Stevenson is a biology and math teacher who enjoys coaching volleyball and conducting a liturgy choir. She has a MA in Theology from Franciscan University of Steubenville. Liesel is currently studying towards her Master of Architecture at the University of Calgary. She holds a Bachelor of Fine Arts from the University of British Columbia. She enjoys hanging out with family and friends, meeting new people, and trying out different ethnic foods. In addition to having a German surname, she is fluent in Spanish. Michael graduated from the University of British Columbia in 2016 with a Bachelors of Arts majoring in psychology and minoring in counselling and human development. He is involved with Catholic Christian Outreach and attended Christ the King Seminary. He is currently a student in Trinity Western University’s Masters of Counselling program. Francisco is currently completing a bachelor of fine arts degree in Visual Arts from Simon Fraser University with a minor in Interactive Arts and Technology and is fluent in Spanish. He enjoys helping in his parish community, traveling, and speaking with friends on faith issues. Gabrielle is working to complete her bachelor’s degree of Design with a major in communication design at Emily Carr University of Art and Design. Currently she also works at an art studio teaching art classes to children, and runs an online Etsy shop to sell her art. She enjoys painting, book design, trying new things and spending quality time with the people in her life.